Coach Jim Aikens delivers it all in this comprehensive discus throw presentation. Coach Aikens begins with a technical discussion on general throwing principles and a brief stretching sequence applicable for all throwers. Aikens then moves into the discus throwing sequence beginning with the basics of the grip with instruction for two grip variations. 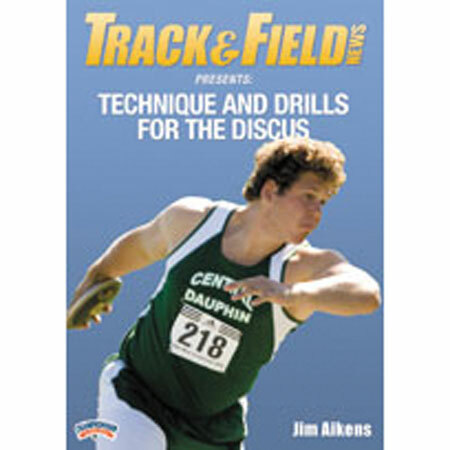 Aikens teaches the power position of the discus throw, detailing proper foot and body positioning and follows with demonstration for delivery methods. Aikens identifes a thrower's proper proper body angles that will lead to the most efficient throws. Aikens revels benefits and risks for non-reverse and reverse and provides detailed demonstrations of both release styles. Aikens moves to the back of the ring skill set. He then proceeds with the transition from the back of the ring to the middle of the ring and then to the front. Aikens' innovate teaching methods are simplified with effective word cues, visual cues and with the use of simple props such as water bottles, chalk and cones. These teaching methods assist the athlete in "grooving: a feel for the skill to be mastered. Aikens completes the technical breakdown and demonstration with a series of full throws. Aikens shares over 30 drills to reinforce all technical aspects of the discus throw. He also dedicates a segment to showing how to implement teaching drills for a novice thrower. 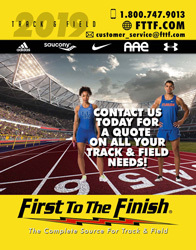 In a final segment: Problems, Causes and Solutions Aikens emphasizes that it is quite easy to see what a thrower is doing wrong but much more difficult to diagnose the cause of the problem. He shares seven of the most common errors that he encounters with his throwers - and how to solve them. This is a home run presentation for any coach looking for a comprehensive how to guide for the discus throw.